At Guaranteed Cleaning Services, we stand behind the quality of our work—which is why we offer a unique guarantee. If any service issues are reported to us but not resolved within two business days, we'll give you an entire day's cleaning for FREE! Your complete satisfaction is always our number one priority. Guaranteed Cleaning Services is a full-service, commercial cleaning firm based in Fairfax, Virginia. Since 2004, we have assisted diverse clients throughout the Washington, D.C. metropolitan area with an array of cleaning requirements. Guaranteed Cleaning Services is a specialist in commercial cleaning and provides extensive services, ranging from evening janitorial service to day cleaning service to carpet cleaning. 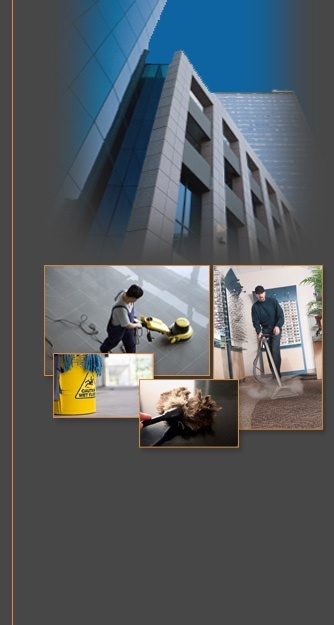 Focusing solely on commercial facilities, we clean large and small office buildings, apartment and condo high rise buildings, dental offices, surgery centers, high rise office buildings, professional offices, real estate offices, association offices, day care centers, government facilities, and commercial property management companies. In addition, Guaranteed Cleaning Services cleans churches, schools, government contractors, medical offices, law offices, accounting offices, and numerous other types of commercial buildings. Best of all, we feature a team of professionals who are dedicated to ensuring high-quality cleaning and extraordinary service. All of our employees are uniformed. They are highly experienced, take pride in their work, and maintain excellent attitudes and professionalism at all times. Simply put, they do a lot more than just removing trash and vacuuming. Our staff is able to add value to your operation by not only meeting your cleaning expectations, but exceeding them. Guaranteed Cleaning Services employs a team approach to ensure maximum quality control. Every client facility is monitored by cleaning technicians, shift supervisors, an area manager, as well the company owner, which helps to maintain exceptional service and maximum client confidence. Our strong emphasis on managing the entire cleaning process is one key factor that makes us different from other companies.